According to photos from 1911, showing J-2 Granny nearshore San Juan Island and the buildings of the time, she is estimated to be 100 years old this year!! Today, as we headed north, we saw a Bald eagle couple tend a nest, are there fledglings? Then an Osprey flies right over! 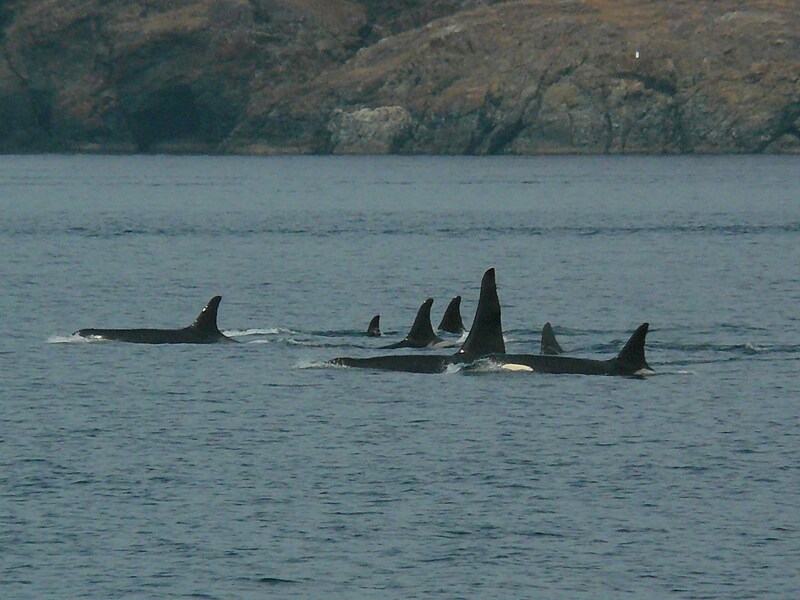 We are very delighted to find J-Pod orcas heading west, with the small ebbing tide in Boundary Pass, closer to Saturna Island, Canada. 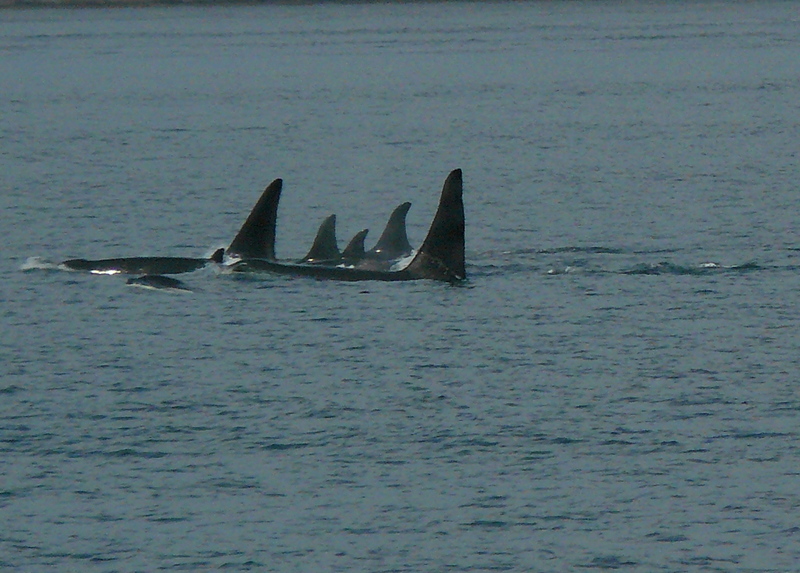 They were spread out from shore to about halfway out in the pass. J-2 Granny in the lead, all by herself. Happy 100th Birthday Granny! 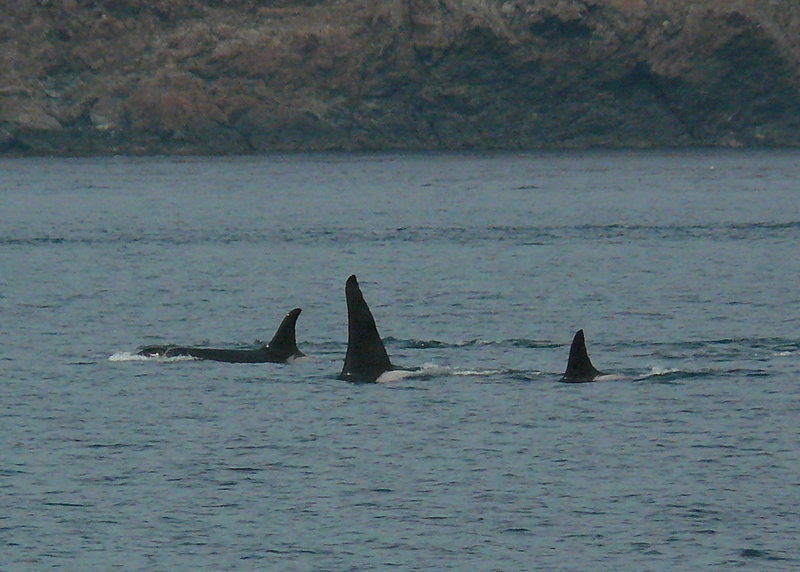 Poignant seeing her without her estimated 60 year old son J-1 Ruffles, who is missing, last seen November 2010. 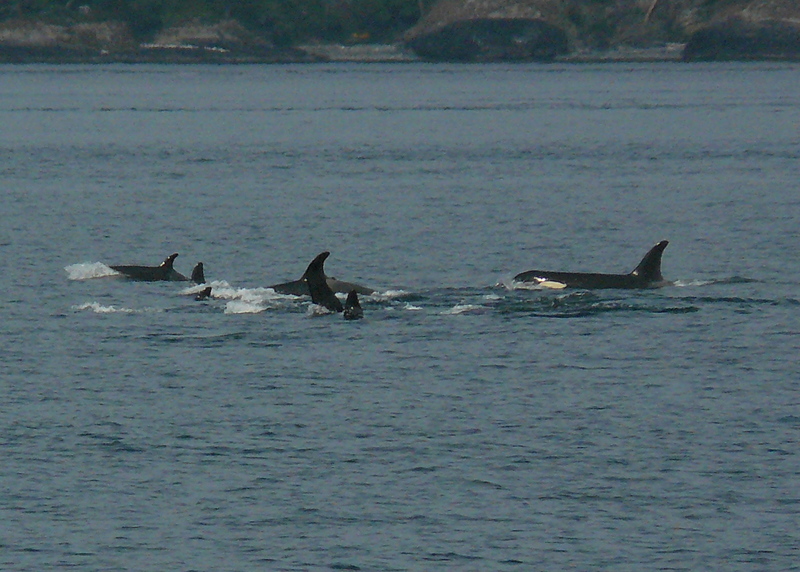 Following J-2 Granny, I think J-8 Spieden was in the next group of 2 to 3 killer whales with J-26 Mike. 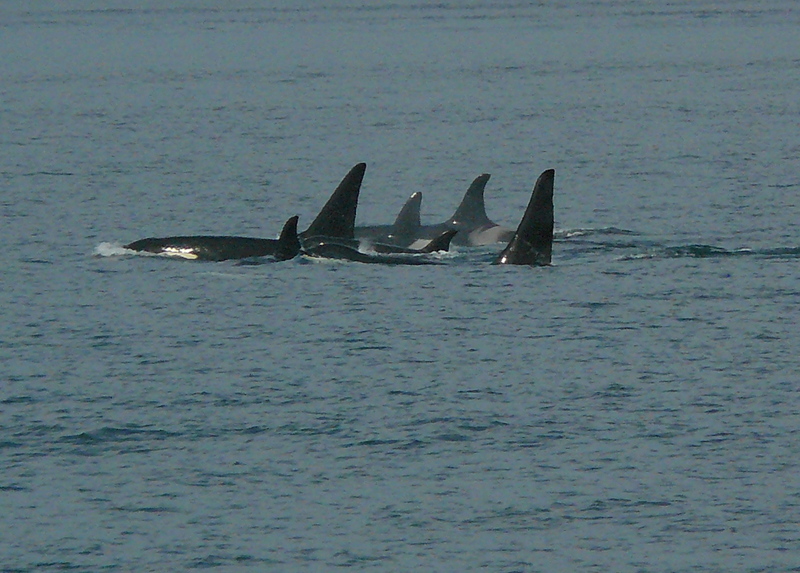 The wonderful sunshine reflected off of their backs, making it hard to see saddle patches behind their dorsal fin- they are unique to each whale, like fingerprints and how we identify individuals. 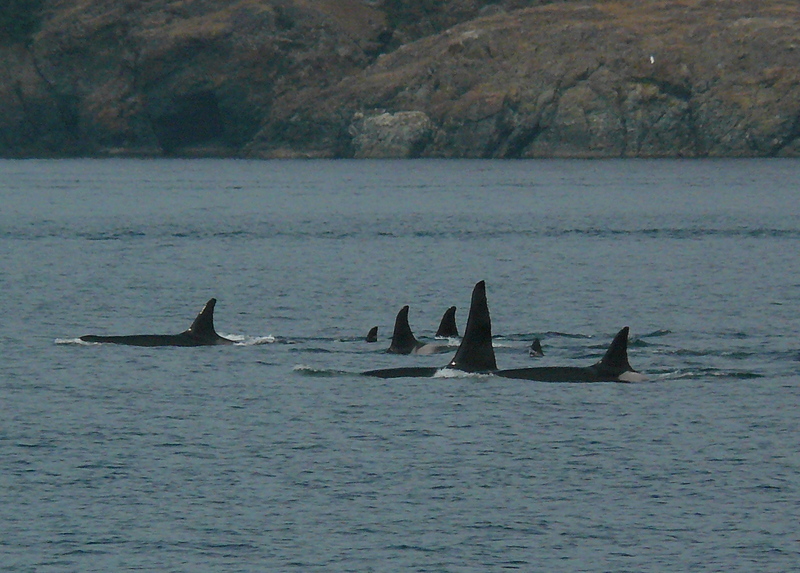 There were 2 more males with groups out in the pass, then J-30 Riptide with a calf and 2 females swam near shore and looked like they may be hunting salmon in the reef-rock rips as they circled a bit and the youngster did a tail fluke slap. Time to head back, when the calf spy hops and breaches, like a goodbye! 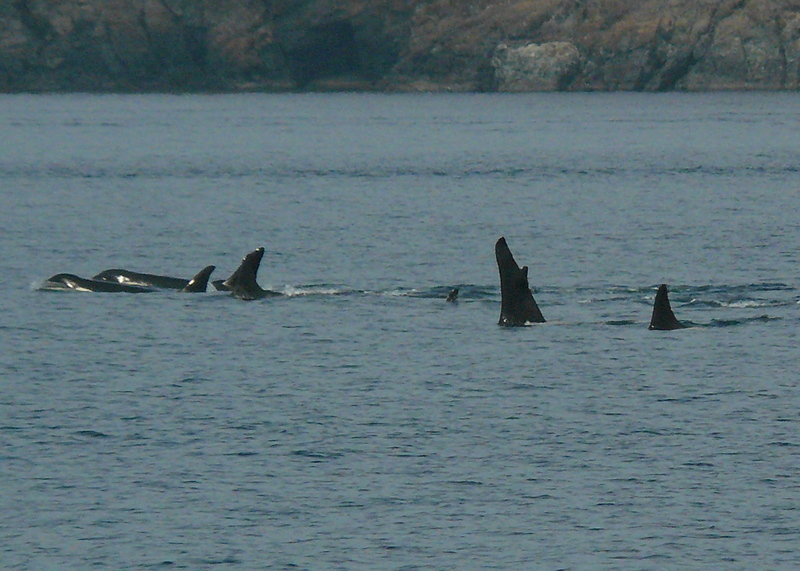 We went south to Salmon Bank and really enjoyed watching 2 to 4 Minke Whales, in calm, slack water. Steller Sea Lions, California Sea Lions, and Harbor Seals sun-warming on Whale Rocks. 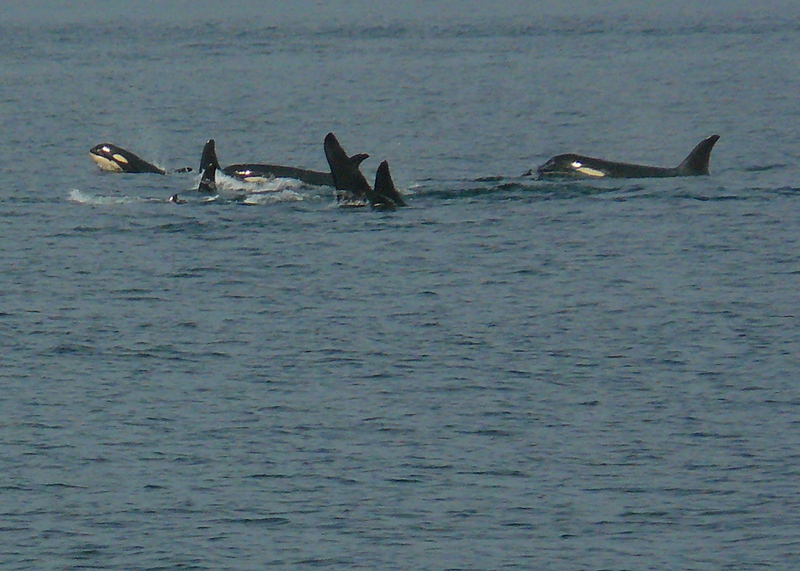 Harbor Porpoise in San Juan Channel, and a variety of marine birds and Bald Eagles on Long Island and Whale Rocks! I say 2 to 4 Minkes; as they were ‘slinky’, diving and surfacing in their typical, unpredictable pattern, so not sure if we saw the same whale! 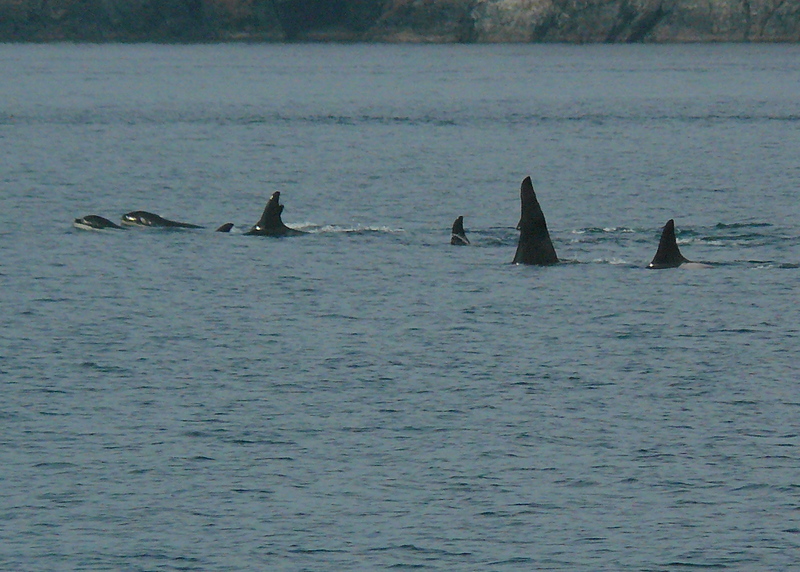 These photos are from a Superpod; all 87 Southern Resident Killer Whales were together on August 15, 2008. 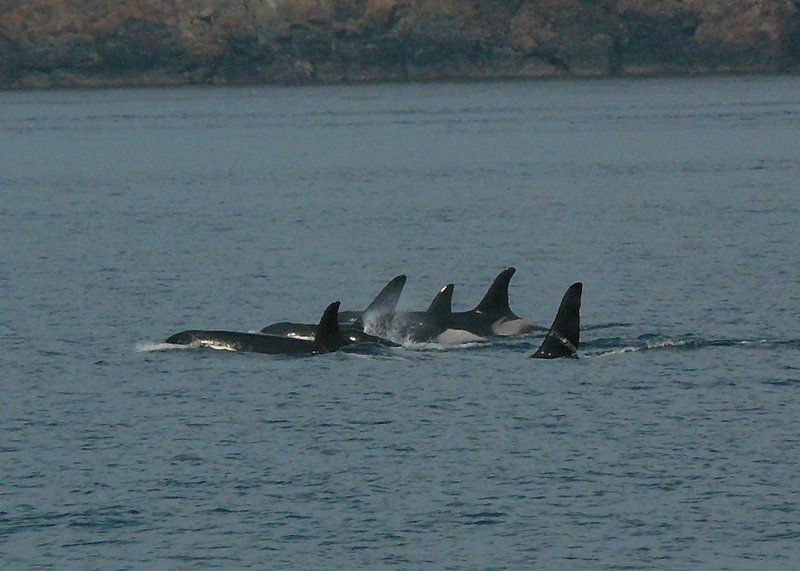 I usually saw J-1 Ruffles off by himself, J-2 Granny gave him a little independence, so these pictures are bittersweet seeing J-1 Ruffles tight in the middle of these family groups with his mother- J-2 Granny.